FOR ARENAIRE, EACH CASE IS A TOTAL INVESTMENT. WE SUPPORT OUR CLIENTS EVERY STEP OF THE WAY AND WE WORK TOGETHER IN ORDER TO FIND THE BEST SOLUTION, BOTH IN LEGAL ADVICE AND LITIGATION. LISTENING: we target your needs in every detail. ASSESSING THE STAKES: we go beyond the basic legal analysis in order to asses every legal consequence arising from a case with you, starting with the economic and financial impact on your business. EXPERTISE: each case is generally followed by a two-member team, assisted by our expert network, if needed, in order to maximize the symbiosis of their skills . 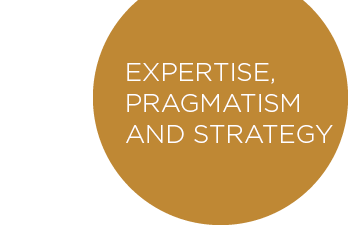 PRAGMATISM: we establish some concrete and pragmatic action plans, and we take the time to share and approve them with you, so that we can make them operational. LONG-TERM SUPPORT: we invest all of our energy in your company, while keeping a strategic view of the cases.